I wanted to check in and let you know that my life has been really hectic this last month. I have had to move five times in a month, and I feel like the Hebrews must have when they left Egypt!! YaHuWaH has a sense of humor you see, and He wants us to see first hand how those folks must have felt with being homeless and all. I’ve had a taste of draught (water main broke at the house I was living in), pestilence, (both an ant invasion, followed by a recent chigger/flea infestation), physical barriers (streets totally tore up in my neighborhood and barricaded to thoroughfare), Isolation, (no trashpickup/mail delivery for 2 weeks), and last but not least- sleep deprivation (having to get up at 4am to go to a “Job”). No wonder they called that book in the bible “Job”. (LOL). The thing is, I am really a “housey” kind of person. I like having my own stuff, in my own space, and being able to decorate it the way I want to. I hate renting, which I am being forced to do right now due to work. The feeling of drifting is very unsettling to me, being an “Earth” sign and all. I like some sense of stability- but it obviously doesn’t like me. I feel like a total vagabond here lately. I must say I have packing and moving down to an art form at this stage of the game. I guess YaHUWaH has me in training for the big “Event” which will take place in our lifetime. After all, that’s why I’m here I was told… At any rate, I still want to buy a house…I still want a HOME. I guess all that Monarch “Wizard of Oz” training is just so hard to break. (And believe you, me I had a bunch)! I was even Dorothy in my 6th grade play in school, so I knew the whole script…I followed that Yellow Brick Road right up through adulthood alright. It’s hard to get off that road…Yellow “bricks” of course refers to gold and the monetary system (Mammon) which controls all of our choices in this lifetime. And “The Wizard” of course is “the Man behind the Curtain” pulling the scam on everyone – better known as Ha Satan or the Trickster. The one controlling the Matrix fabrication we live in. Well the next time the flood won’t be with water. It will be with fire and “brimstone”. I know that sounds insane, but that’s what the WORD says…When YaHushuWaH returns, we’ll be instantly changed into HIS LIKENESS, and we will meet Him in the AIR. We will be light forms of some sort. Pure energy with ethereal bodies. They always say… HOME is where your HEART is, and if your HEART is set on GOD– then guess what? That’s Your HOME! Being in YaHuWaH’s presence. 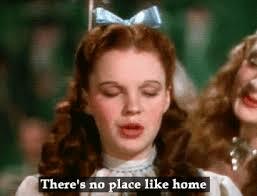 And anyway you look at it……There’s NO PLACE LIKE HOME! Everyone thinks that God’s favorite Kings were King David or King Soloman but the bible says differently. God’s Favorite King was King JOSIAH. At only eight years old he became King of Judah. That would be like making a second grader president of the United States! Furthermore, Josiah came from a lineage of BAD KINGS. EVIL KINGS. His grandfather was King Manassah whom YaHuWaH despised. Manassah sold out the Jews. He was a traitor to God’s people. He was the son of King Hezekiah and as such he had no excuse. He re-instituted Pagan polytheistic worship and child sacrifice. He is also thought to have been the murderer of the prophet Isaiah. His son Amon took over the kingdom upon his death but only reigned for two years. He too was evil and was murdered by his own contemporaries. That left little Josiah at eight years old to take over the Kingdom. Josiah had help though. He had Godly men and women around him. Hilkiah the High priest, which we wrote about earlier was one of them.Hilkiah discovers a secret scroll hidden in the temple and has it read to King Josiah by his scribe. Josiah is so moved by YaHuWaH’s testimony in the scroll that he rents his garments and truly mourns for the sins of his people and their backslidden ways. He TURNS EVERYTHING AROUND. This is true repentance. He tears down all the High pagan places of worship and destroys everything associated with them including their priests. He has the biggest PASSOVER celebration known to the history of mankind. He begins repairing the Temple in Jerusalem. He destroys Topheth, which was a place where they sacrificed children to Molech and Baal outside the city in the Valley of Hinnom. This place was a real thorn in YaHuWaH’s side as he NEVER ALLOWED for the SLAYING OF INNOCENTS. YaHuWaH says that thought had never entered his mind as a form of worship. It was insideous. Topheth equates with Gehenna and Hell because they continually burned the dead carcasses there, and furthermore it must of stank the high heavens! Finally he made the entire nation take an oath of alligience and covenant with YaHuWaH… PUBLICALLY. So Josiah did all of the right things. He was a Just KING. So what happened to him? This is where the paradox comes in. He gets wounded in the battle of MEGGIDO. He is taken back to Jerusalem and he dies. She tells him that YaHuWaH is going to Judge Judah big time. DESTROY HER for her abominations. Just saying your sorry and it won’t happen again ain’ t gonna cut it with God. The WAGES of SINNING is DEATH. Sin and death go hand in hand. The SIN follows generationaly, as well. FOR FOUR GENERATIONS. Josiah was only the 2nd generation after the SINS of Manassah! He still had to pay that PIPER! (satan) . YaHuWaH promises Josiah though that he will not witness this destruction and that he will die in Peace. He does. He dies and is buried in the CITY OF PEACE, (Jerusalem), unlike his father and grandfather. Manassah (his grandfather) was buried in his own garden at Uzza. (where have we heard that word before? Al Uzza. ) while Amon, (his father) was buried in his own house! Josiah was buried with his spiritual father, DAVID. So where did he go wrong? Why did God speak to King Necho of Egypt to go fight the Babylonians? Josiah didn’t give up his politics! He was still sided with Babylon politically. He couldn’t stay out of it. He was meddling where he didn’t need to. At this stage of the game it really was beneath him to do so. Spiritually speaking he had come out of Babylon but in a practical earthly sense he hadn’t… He was still trying to play KING OF JUDAH. YaHuWaH didn’t tell him to go to battle. Let the HEATHEN fight their own battles amongst themselves! You stay out of it. That goes for joining the military in the here and now too. If your in the military you need to get out as soon as you can. It is NOT OF GOD. the PASSOVER LAMB that is slain. 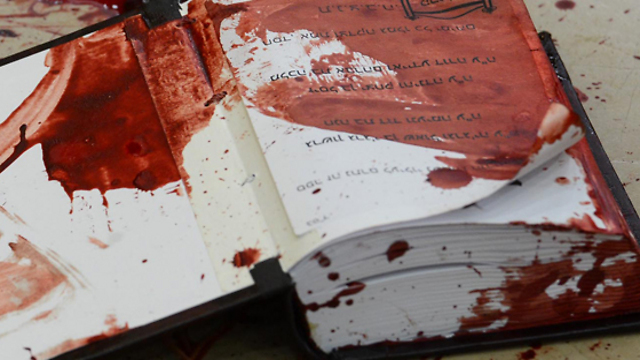 The final battle of MEGGIDO…Better known nowadays as the Battle of Armageddon will also involve much sacrifice. Millions will be slain in this end times massacre. Without the shedding of blood there is no REMISSION of SIN. SIN’s MISSION is to KILL YOU SPIRITUALLY. To re- MISSION SIN (SIN=ha Satan) and sidetrack him from his main mission, Blood must flow. It’s not YaHuWaH that wants Blood to Flow. It’s SATAN. To appease and redirect him and his main intentions, that’s what has to happen. He does God’s dirty work if you will. The WAGES have to be paid. That’s why it is SO IMPORTANT that you accept the WAGE PAYER…YaHuShuWaH. He paid the debt but he only paid for those that ACKNOWLEDGE the fact….Those That call upon HIS NAME. The Divine name. YaHuWaH. Those that appropriate HIM into the equation. YaHuWaH was and is YaHushuWaH in Human form! He paid it himself, as only HE COULD. He was and is the I AM . The ONLY WAY. and that road leads to spiritual death. Choose today who you will serve! !